scaffold banners with print are matched with the various dimensions to fit perfectly with standard scaffolding, order now. 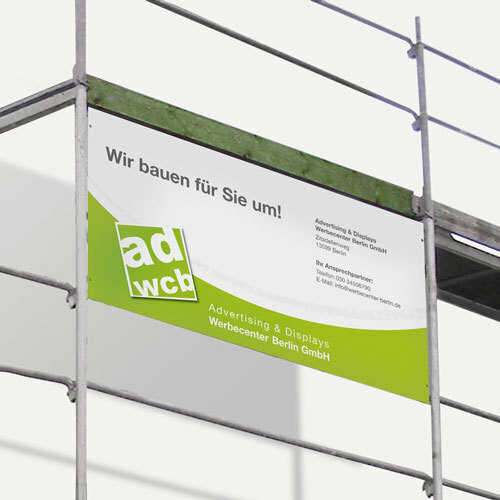 The construction site banners are formated according to common scaffolds. Your motif will be printed as selected on durable and weatherproof mesh vinyl or frontlit vinyl. 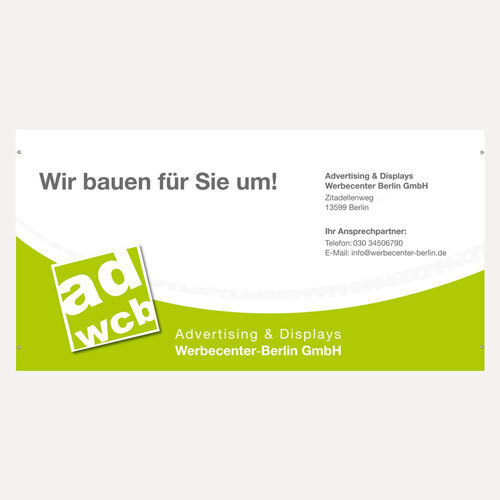 Mesh banners are made of perforated material which is wind permeable and therefore ideal for windy places. PVC banners have an even surface for your motif print. Both banners can be mounted easily with the hemstitch on top and bottom and with eyelets in each corner. The materials are B1certified (fire safety classification) so it can be used at indoor events, fairs and concerts, too. Also optimal for construction and building sites or other areas where privacy screens, dust protection and barriers are needed, for instance at festivals or on bridges. The construction site banner material you can also order as banners in custom formats here: mesh banner and vinyl banner. 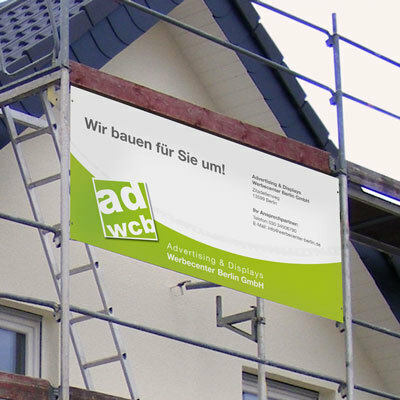 Construction site banners will be produced standardly with hemstitch (12cm diameter) on the top and bottom of the banner and with eyelets in each corner. Storage and transportation is (if possible) just rolled recommended. When the banner is folded during transportation and storage can result in creases and wrinkles. This can be minimized by a smooth and tight tension on all sides by the time. If the color compatibility is of high priority, please order a proof. This allows you to counteract color values and adjust them in your file, if necessary.